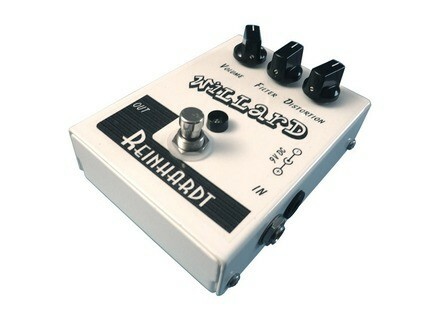 Willard, Distortion from Reinhardt Amps. 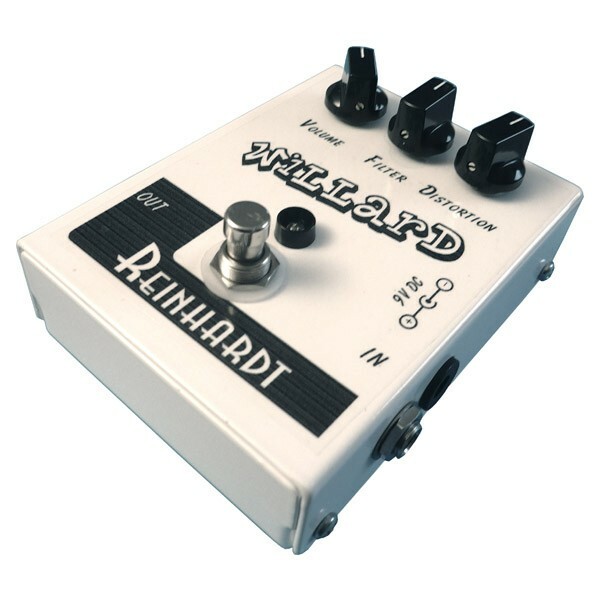 Reinhardt Amplification has released the Willard distortion pedal. The pedal is based on a 1981 big box Rat. These pedals feature true-bypass and are hand assembled with top of the line components for reduced noise and better sound quality, the company says. One thing about the original circuit that Reinhardt says he would never change is the rare NOS LM308N chip, which he considers to be "a key to the thick, natural tone of this circuit." Visit their web site at www.reinhardtamps.com for more info. Dunlop SK8 Picks & Straps Dunlop's new SK8 Series guitar straps and picks have taken iconic styles of skateboard industry giants: Independent, Santa Cruz, Nor-Cal, and Skateboarding Is Not A Crime, and dropped them onto Dunlop gear. DigiTech RP1000 DigiTech celebrates its 25th anniversary by introducing the RP1000, which they present as "the first multi-effects processor with an integrated effects switching system." Recording King RR-60-VS Recording King introduced a new professional resonator for players looking for "classic slide sound and style with modern, reliable appointments."